The Infiltrator Review | Nerd Much? When you think of crime films and the interesting people that are normally portrayed, one can guess that money launderer doesn’t jump to the top. 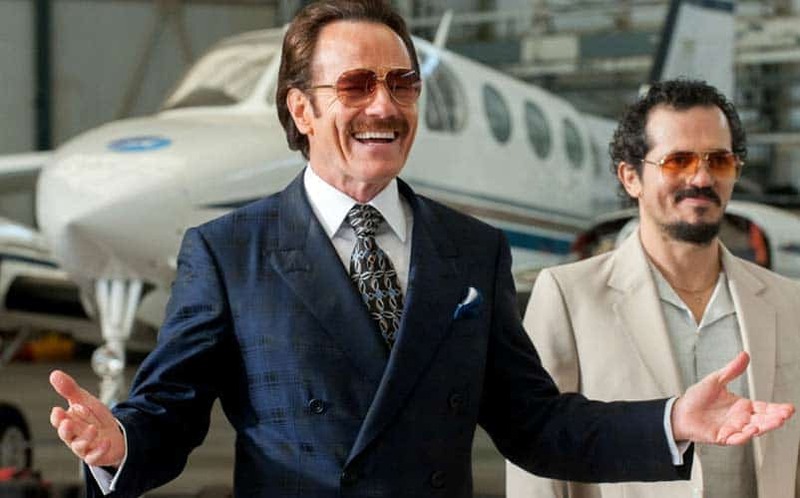 It’s one of those jobs that lacks the violence and grittiness you often need to carry a good crime base film, yet The Infiltrator has done a masterful job bringing this world to life. This is largely thanks to stellar performances and a great use of tension, though a few problems keep this movie from being one of the best crime movies ever made. Set in 1986 Flordia, we follow undercover FBI agent Robert Mazur (Bryan Cranston) as he tries to infiltrate and bring down the Medellin Cartel. It’s a simple plot at first, which follows the typical narrative messages of “who can you trust” and the nature of diving too deep into this world. 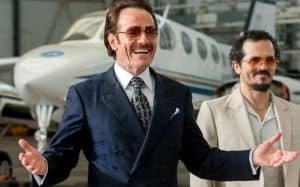 We have seen this before with almost any movie focused around undercover law enforcement, but what helps The Infiltrator excel is how it handles the relationship between the characters. Not only does the movie humanize some of the central antagonists, but may have you feel genuine pity once the climax kicks in. Betrayal is a huge part of this movie’s main plot and you may walk away wishing certain characters had different outcomes. 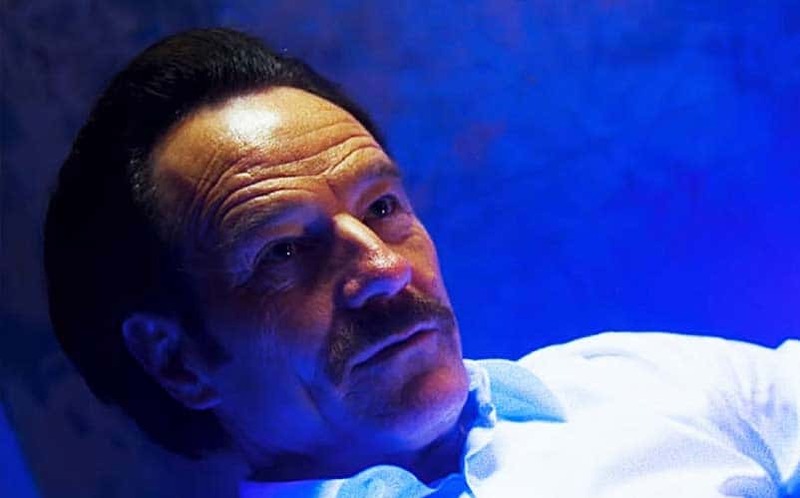 Cranston delivers a career-defining performance here, proving that he can escape from the massive shadow Breaking Bad has cast. Mazur is a complex and well-developed character, offering layers of nuance and depth to both his real personality (as well as his fake one). There are moments when he has to snap between both and it’s almost like watching two different actors play the same person. This is very much his show and in Cranston dominates almost every scene he is in, though this can cause some of the lesser characters like his partner Emir Abreu (John Leguizamo) to get pushed aside. Which is a shame because Leguizamo gives a generally solid performance here, even if his character is the stereotypical live wire detective. He does a serviceable job of balancing out Cranston’s more grounded and brooding Mazur, but the film never takes Abreu in an interesting direction. It seems like all he doesn’t contribute much to the overall plot and about half way through the movie director Brad Furman appear to outright forget Abreu exists. The character vanishes for the majority of the second and third act, delegating him to scenes that only seem like they are there to move the plot forward. His character really doesn’t get any development beyond his one-dimensional shell, which is partially because Cranston gets a third partner. Said partner is actually a new FBI agent posing as Cranston’s fiance Kathy Ertz (Diane Kruger.) She does a decent job as the fresh undercover agent and some of her interactions with the rest of the cast members (specifically the villains) is genuinely compelling. However, much like Abreu, she is an under-developed character thanks to The Infiltrator trying to balance two different sidekicks to Cranston, instead of just settling on one. Thankfully, Mazur’s real wife Evelyn (Juliet Aubrey) picks up some of the slack and becomes the main source of Robert’s humanization. There’s an especially fantastic scene involving their anniversary and a cake that showcases what a toll this line of work can take on a person mentally. However, the real stars of this film are the various cartel and corrupt business people you meet along the way. With the exception of one or two, The Infiltrator spends a fair amount of time humanizing these people. They aren’t just scary faces to the cartel (well, most aren’t) as many of them have real lives and families to worry about. Without spoiling who Mazur runs into, there’s a certain high-ranking cartel member that he befriends half way into the movie. While it seems like the movie is taking you in one direction with him, by the end you might be silently rooting for him. A lot of this is due to actor Benjamin Bratt and the complex nuances he adds to his character. The Infiltrator puts you into Mazur’s perspective and lets you organically develop your own feelings and relationships with these villains, at the same speed of the other characters. This lends The Infiltrator a far more organic feeling script and pacing. This is a double-edged sword, though, as the organic flow of the movie doesn’t allow really any time to breath. This is a very tense movie that really doesn’t let up until the credits actually roll and the lights come on. There are many instances where you believe Mazur’s cover is blown or in danger, with the script taking almost too much time to remind you that one slip up and it’s over. While some may enjoy this nonstop tension fest, personally it would have benefitted the movie to step back and take a deep breath. I do understand that there’s an argument to be made against such an idea, but eventually, the tension will take a toll on not just the movie but the audience itself. This may also make the film hard to follow at times as this story jumps around locations a lot, many of which don’t get an establishing shot. Even with these problems, I can still highly recommend this film to anyone who’s a fan of the crime genre. While it may come off as Mazur taking down evil people in suits, it offers more depth than that. If you can look past the sidelined characters and mentally prepare yourself for nonstop tension, then you will highly enjoy this movie. However, you may need a drink or two after it to calm your nerves.